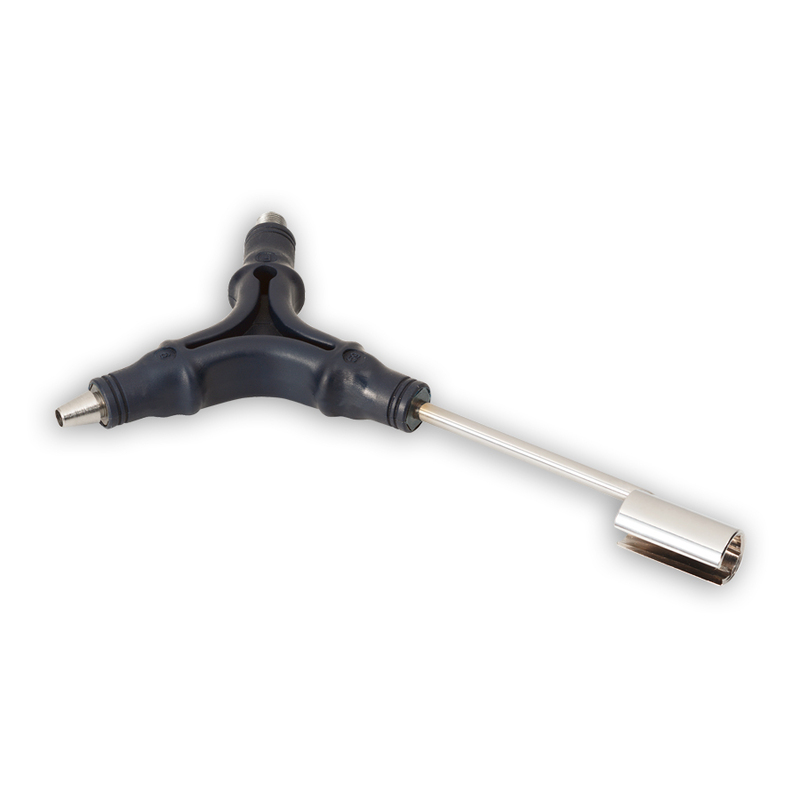 Flare the shield of RG59, RG6 or RG6 Quad cable after it has been stripped and insert cable TV "F" connectors onto the cable easier by attaching the connector onto the threaded end of the tool. 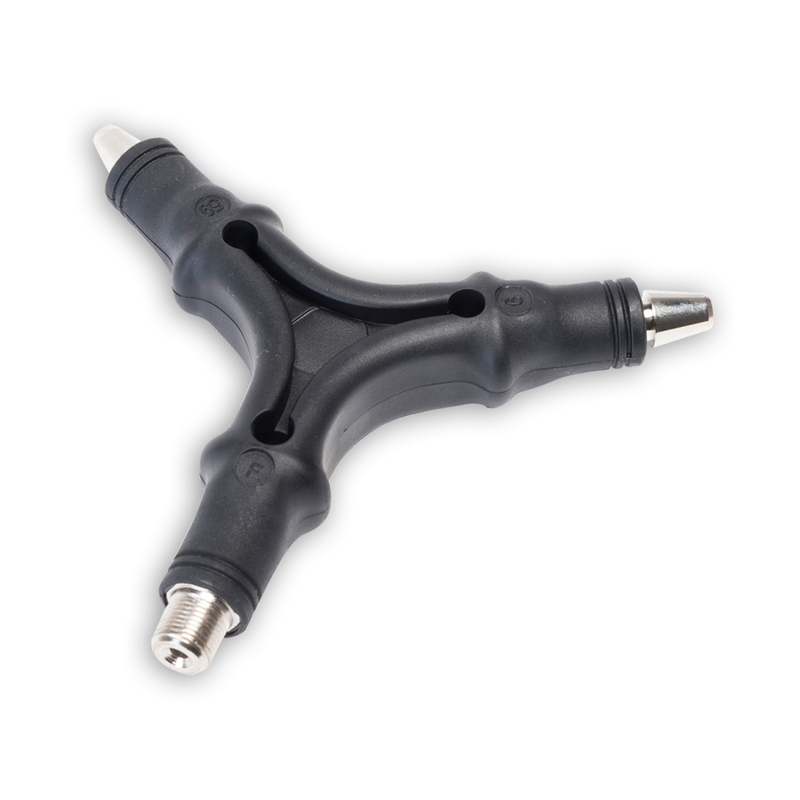 The Paladin Coax 3-Way Tool flares shield braid, attaches "F" connectors for connector insertion, and easily tightens and loosens cable TV "F" connectors. 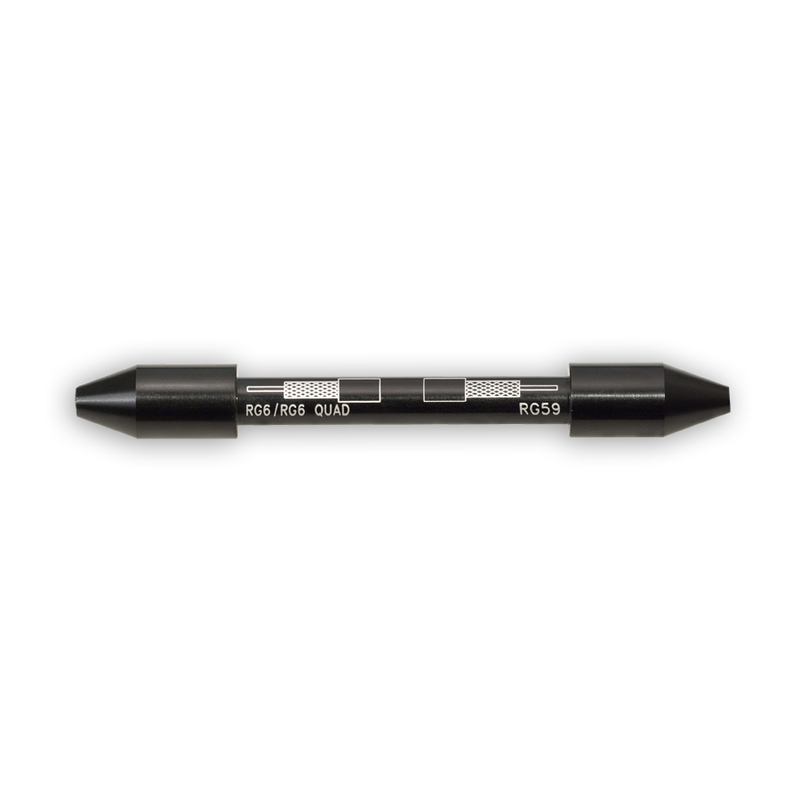 Flares the shield braid away from the center conductor to ensure quicker and better connections.